Home Butcher Block Counters	Staging Your Kitchen: Part 2- Kitchen Counter Tops, Sinks and Back splashes oh my! Staging Your Kitchen: Part 2- Kitchen Counter Tops, Sinks and Back splashes oh my! Most will agree the kitchen is the main focus to most buyers. It’s the heart of the home. When your friends and family come to visit, where do they all want to congregate? Since it is such a high priority for most homeowners, it makes sense to put a little extra money into the room to encourage buyers and gain a higher selling price. But how much is too much? This guide will help you determine where to think about investing your cash for the best resale value. In my last blog post we talked about Refacing cabinets. The pluses and minus of Paint, Veneer or replacing cabinet doors. The quickest zero-cost fix for most homeowners in the kitchen is to clear the counters of absolutely everything. Give it a real good cleaning, top to bottom. This instantly makes it look like you have miles of counter top when you may only have a few square feet. So this is the best place to start. But before we get to that point…let’s take a good look at your counter tops. Asses your counter top: Is it in good shape? If you have tile counter tops check to see if it has nicks, cracks, grout issues, etc.? Here’s a link on cleaning your grout and different grout issues you may have fix grout issues. The picture above is a beautiful kitchen and I would not change a thing. But there are nice tile counters and there are sad tile counters…you know what I mean! If you have pink tile or any tile that is so out of date or damaged you really should consider replacing it. Let’s look at some options that you will get the best return. The common response if you do need to be replace your counter tops is to go with granite, if possible. Fun Fact: Potential home buyers love granite, and adding the keyword “granite” to your listing could help you sell your house 38 days sooner for 4 percent more. True!! Let’s look at other options: Quartz (engineered stone) vs. granite (natural stone). This is not an easy decision, because the distinction between the two countertop materials isn’t apparent. 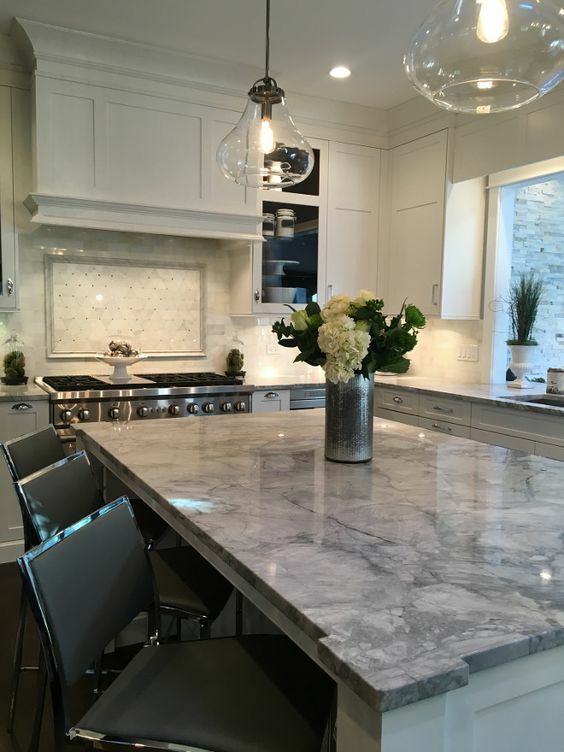 After all, quartz and granite are each loudly touted by their respective manufacturers as being purely natural, straight from the Earth, hard as stone. Fun Fact: Let’s compare value. Quartz” saw a 6-percent sales pr boost premium where homes with “granite” only saw a 4-percent boost in sale price. Quartz One of the main reasons quartz has exploded in popularity is due to appearance. Quartz has the look of stone while also allowing homeowners to customize the design. While granite offers many options in terms of appearance, you may have to search for the right piece that matches your color scheme. With quartz, the selection process is much easier. Granite is a very hard stone and 100 percent natural. It’s mined from quarries all around the world, cut down to a manageable size, and then polished to a fine finish. Granite comes in many different colors and patterns due to the way it’s formed (cooling and solidifying of molten materials). Whether you’re looking for a subtle complement to your kitchen or a standout slab with unique mineral inclusions, there is an almost limitless selection to choose from and no two granite counter tops are the same. Quartz can be damaged by excessive heat, so use heating pads at all times. But what if you have terrible tile counters and granite or quartz is just out of the question. What are your options? Think about Butcher Block! It’s making a big come back in recent years especially on islands! Inexpensive and much better than tired tile! Butcher-block countertops is made from strips of hardwood glued together, and is usually constructed from hard maple, but can be made from other species like walnut or cherry. Butcher block is both attractive and functional, allowing you to chop fruits and vegetables directly on it. To find a butcher block counter top supplier, check out IKEA, as well as some online vendors and even local carpenters. Convenience Butcher block countertops provide convenience for the homeowner because food can be prepared on the surface of the counter. There is no need to transfer the food to a cutting board to chop, and everything can easily be wiped. While you can prepare food on a granite countertop, you cannot cut the food there. You must use a cutting board to do so because granite can become ruined if it is scratched or dug into with a knife. Here’s a way to save even more! at Ikea for the cost of material, a huge savings! Really!!! Did you look at the cost of a 74″ slab? 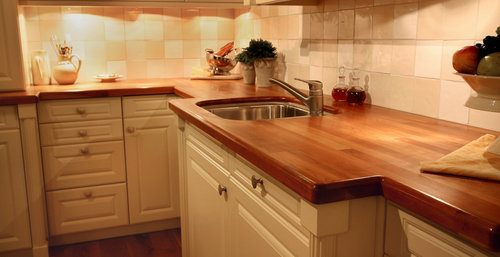 Butcher block countertops come in several wood types such as walnut, cherry, mixed woods, maple, and birch. They provide a rustic charm that you’re unable to get with granite counters, but they can be an outdated choice when reselling the home. We decided to install butcher block as a temporary counter top until we saved for my white quartz. The installation process was pretty straight-forward and other than being heavy and awkward, it was much easier to cut the counter tops than we anticipated. We installed the farm sink, which allowed us to cut the counter top in two to meet up on either side of the sink, which you can see in the photo below. 4 Years later..we still have the butcher block! Let’s talk about the obvious. If your replacing the counter tops, what about the sink? Fun Fact: Did you know that homes boasting Farmhouse Sinks can fetch nearly an 8-percent sales premium! If you’re installing new counters, a new sink might be needed as well. Consider Farmhouse! 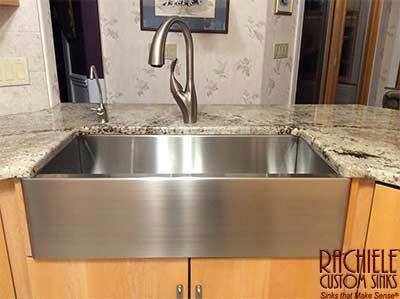 Farmhouse Sinks also called Apron Sinks have quickly become one of the hottest sinks out there. They can sit atop the counter or under mounted. They come in white, stainless steel or even granite. Whether you chose stainless steel over mount or under mount, porcelain or cast iron, or if you can keep your existing sink make sure it’s free of stains and chips. 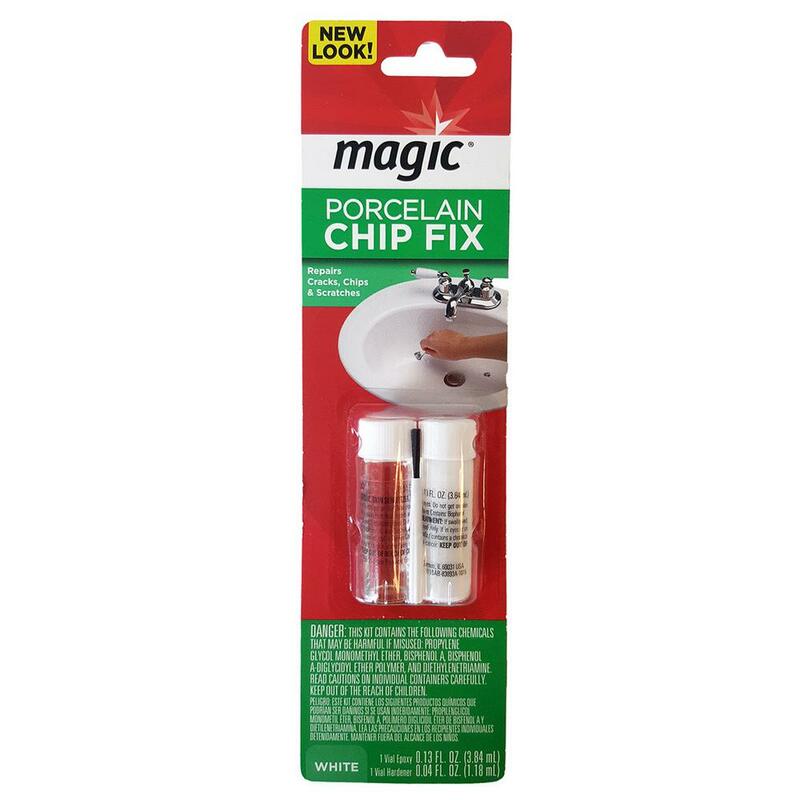 If you have a porcelain sink with chips, repair them!! An updated backsplash is a quick and easy investment to add visual value to your home. These days you needn’t carefully plan a tile pattern; in fact, you shouldn’t if you are simply trying to update your home for selling -— leave those intricate details to the new owners. Fun Fact: In Kitchens, back splashes with subway tiles are a beautiful and classic design feature that are sure to catch a buyer’s eye. Homes mentioning subway tiles in their listings sold for nearly 7 percent more than expected and 63 days faster. So now your kitchen cabinets are done, counter tops are either replaced, cleaned and grout repaired. We’ve talked about sinks and backsplash. Everything including your oven and stove are clean from top to bottom. Staging Your Kitchen: Part 3 -Let’s decorate with Light! And if your need anything…we’re always here for you! 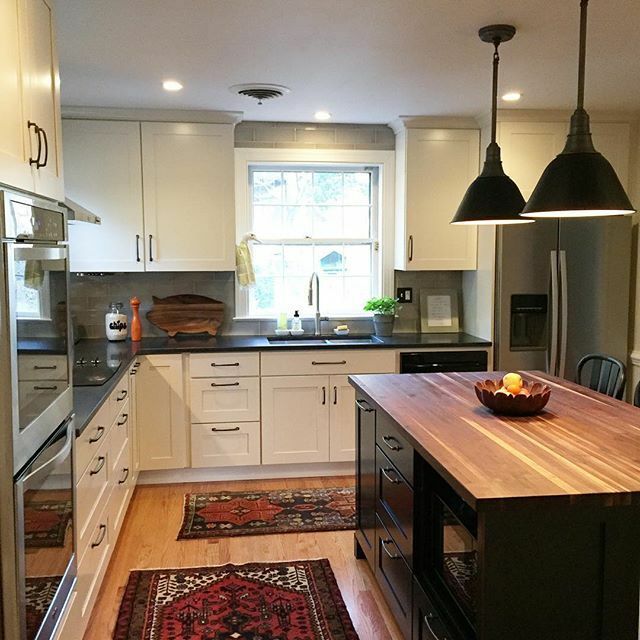 When to Remodel or Renovate your Kitchen… What’s the difference? Staging Your Kitchen to Sell Your Home : Part 3- Let there be light!